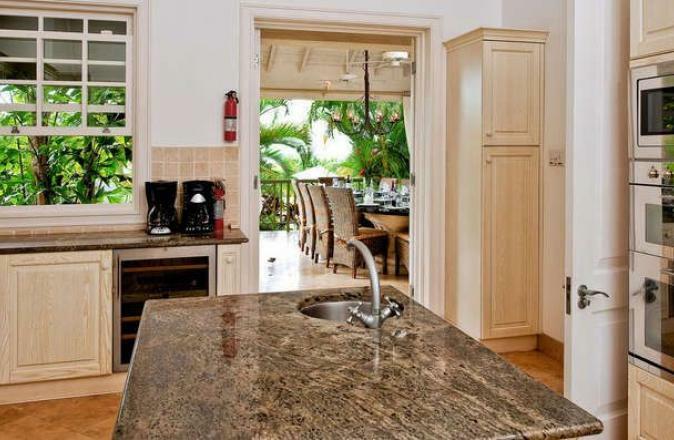 In the gated resort community of the popular Sugar Hill Estate, you will find Go Easy, a six bedroom villa over one a half acres of landscaped tropical gardens. 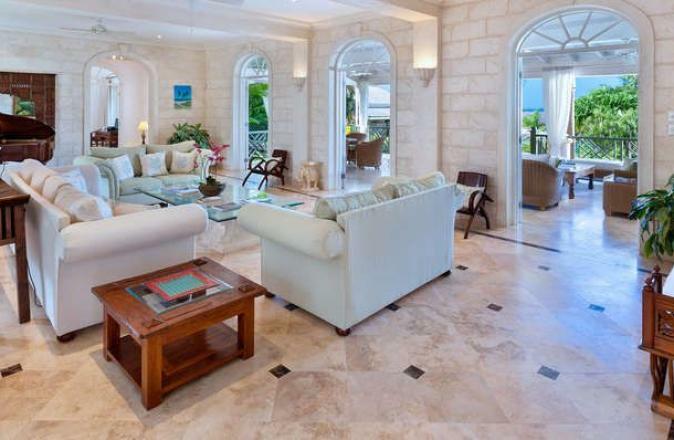 This impressive holiday villa comprises a main house and guest cottage, both offering breathtaking views of the sparkling Caribbean Sea towards the famous west coast of Barbados. A grand staircase and wrought iron sculptural chandelier welcomes you to Go Easy. 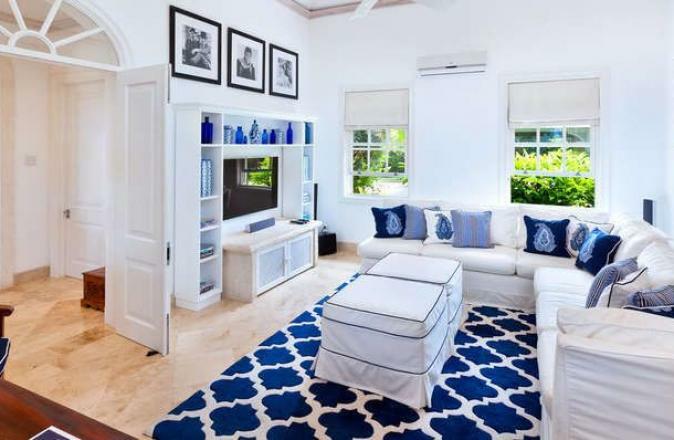 On the ground floor of the villa there is the great room, well stocked with books and games, an air conditioned family room, an outdoor dining room and extremely spacious covered living patio that leads to the pool area. 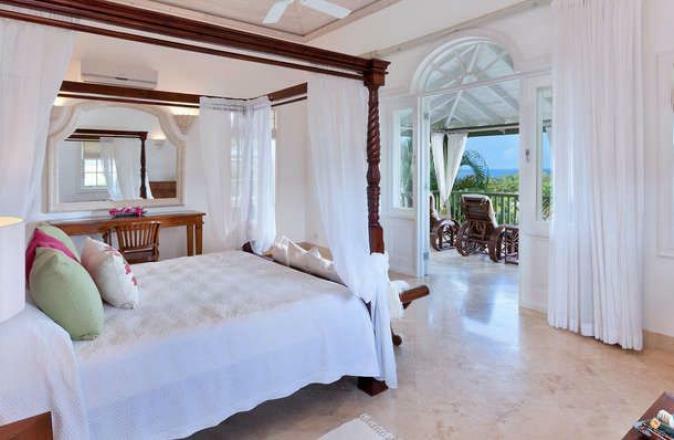 A large bedroom suite featuring a four poster bed and opening onto a private terrace is also located on the ground floor. Go Easy boasts a large infinity edge pool, Jacuzzi, and pool pavilion. The pavilion has a wet bar and an impressive built in gas barbecue making the pavilion an ideal spot for sun downers and casual evening barbecue dinners by the pool. A short distance from the pool is the private tennis court. 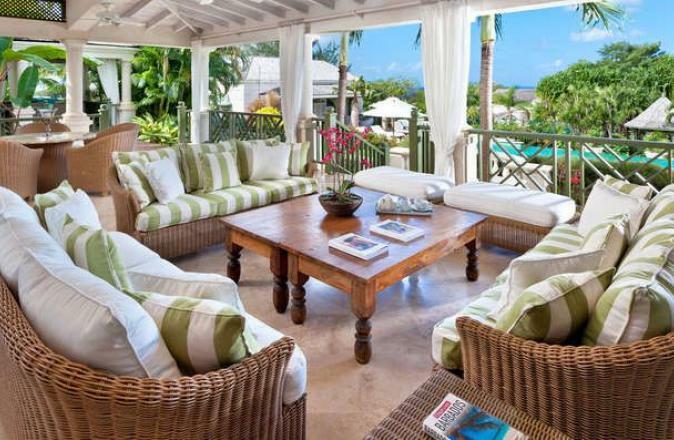 Go Easy is the only private villa in Sugar Hill with its own tennis facilities. Formal meals can be taken at the magnificent 12 seat marble table on the outdoor dining patio where you are surrounded by tropical foliage. The dining area enjoys cooling breezes supplemented by ceiling fans and the soothing sound of trickling water from a water feature that flows under a wooden bridge between the dining and living patios. At night, candles, feature lighting and the stars combine to make for a magical setting for a memorable meal with family and friends. 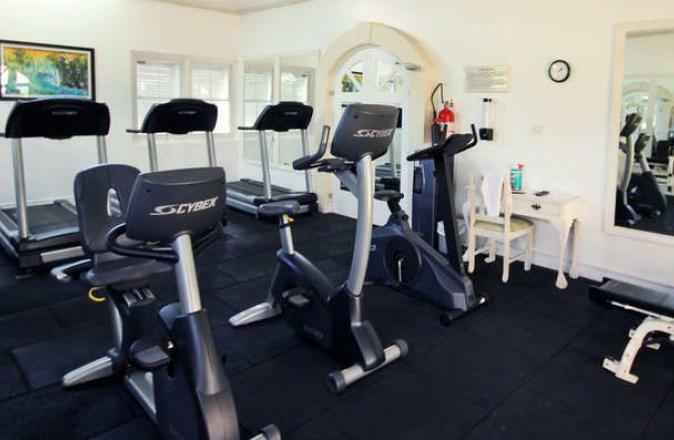 Nearby is the air conditioned family room that provides a cool retreat from the midday heat. Here you can enjoy state of the art audio video entertainment on a comfy sectional with your snack or refreshment of choice. Due to the proximity to the dining patio, adults can enjoy a private meal while still keeping an eye on the children in the family room. 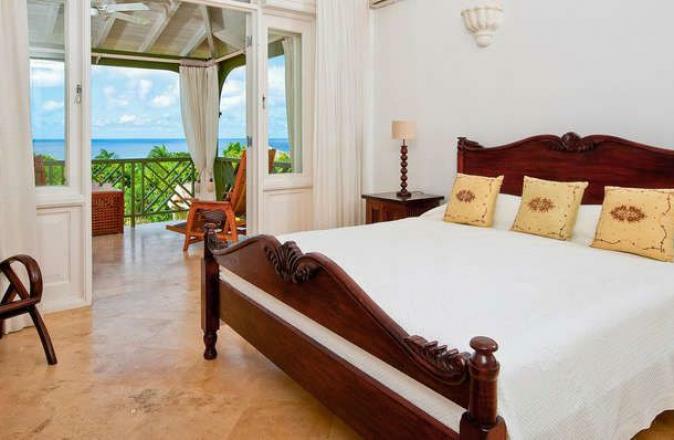 Go Easy has four spacious air conditioned bedrooms in the main house each with a private balcony and magnificent marble tiled en suite bathrooms. Those guests who prefer not to use air conditioning will enjoy the way the bedrooms have been designed to take advantage of the trade winds. 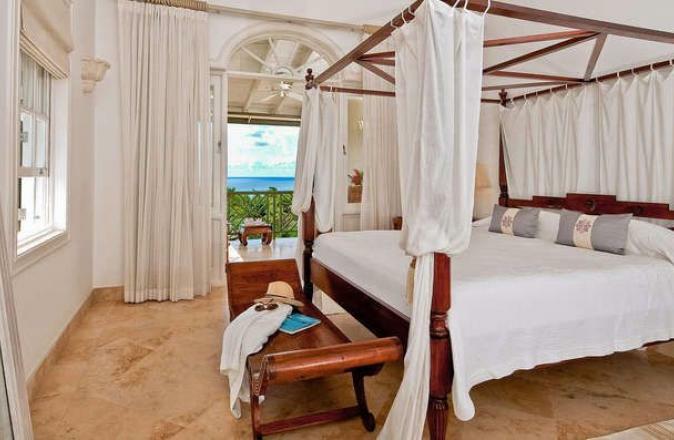 Three of the four bedrooms have four poster beds. In addition one room has a full size three foot day bed. Each room has a fridge, tea and coffee making facilities and a dressing room with a safe and hairdryer. 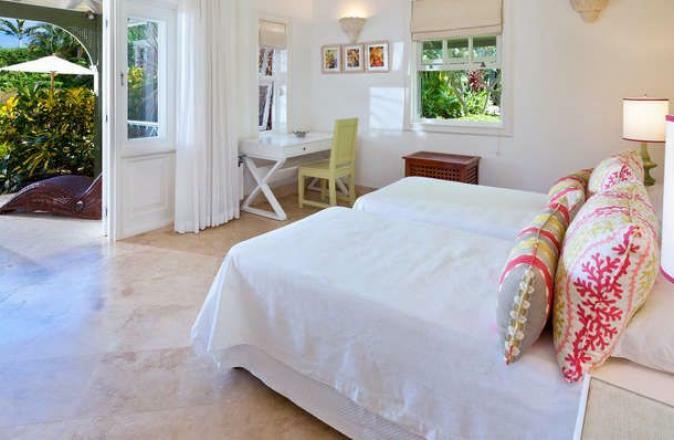 All bedrooms are equipped with best quality Egyptian cotton bedding, towels and bathrobes. A guest cottage provides flexible accommodation with two air conditioned double and twin bedrooms with en suite bathrooms, sharing a fully equipped kitchen and a shaded patio by the swimming pool. 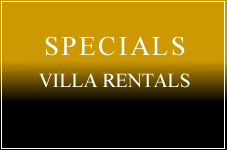 The villa is staffed with Housekeepers that keep the property spotless, servicing bedrooms and bathrooms each morning and will launder any clothes as requested. Additional staff such as a chef, butler, babysitters etc. can be hired as required. Ceiling fans. Gazebo. Shared gym. Pool shower. Wet bar. Security safe for valuables and security system. Casual dining can seat up to 12 people. The villa has a media room with a printer and computer available for guest use. There is also Apple TV and PlayStation. 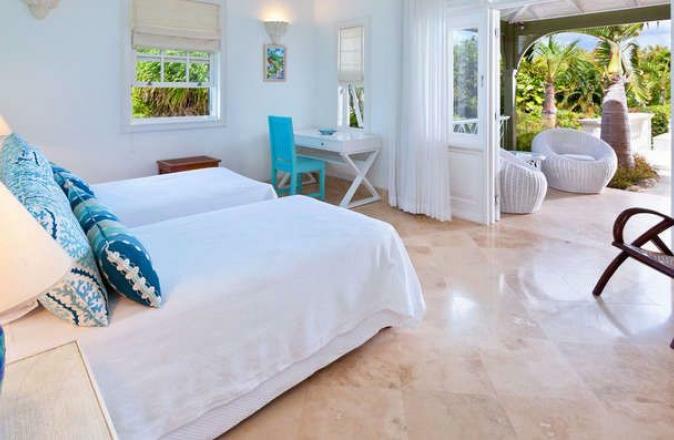 Guests of Go Easy will have use of all that Sugar Hill has to offer. The on-site amenities include a clubhouse with large pool, restaurant and gym, as well as the first class David Lloyd tennis facilities. Sugar Hill is a gated community with security guards both at the gate and on patrol around the clock. Guests have access to the Sugar Hill Beach Facility located at the Fairmont Royal Pavilion Hotel.